You may face such issue when you upload your video to Facebook and find that there are some black bars around the video. Such black bars appear on videos, when the aspect ratios of your video and the player don’t match. For example, if you want to upload the video to Facebook without black bars, then you need a video with 1:1 aspect ratio. But when you build the project in Filmora, you may start your project with 16:9 or 4:3, then there will be some black bars on your video after you upload to Facebook.You can follow below steps to eliminate the black bars. 1. Launch Filmora, select Full feature mode. 2. Drag and drop the video to the 1st track of the timeline. 3. 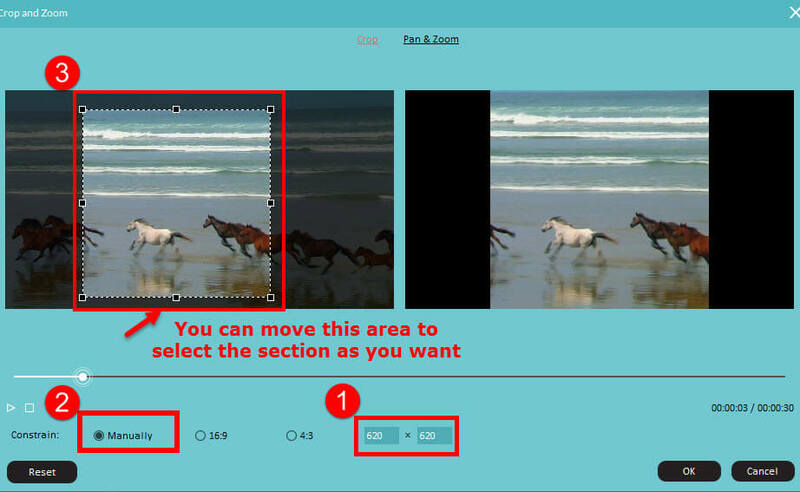 Select the video, right click, choose “Crop and Zoom”. 5. 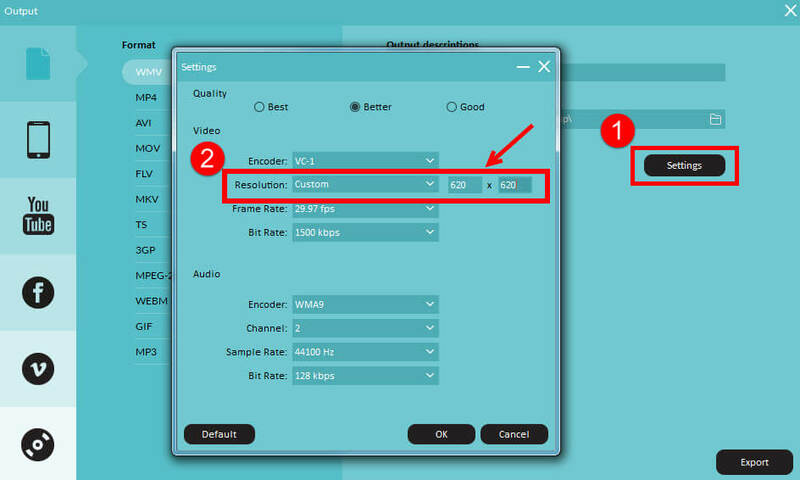 Click on “export” then hit “settings” then select "custom" under " resolution" to change the resolution to 620x620, then hit ok and press "Export" button to start conversion. To avoid such black bars on your video, you need to confirm which kind of the player you will use to playback your video. And when you start the project, you need to select the same aspect ratio or crop the video to the same one as your player.